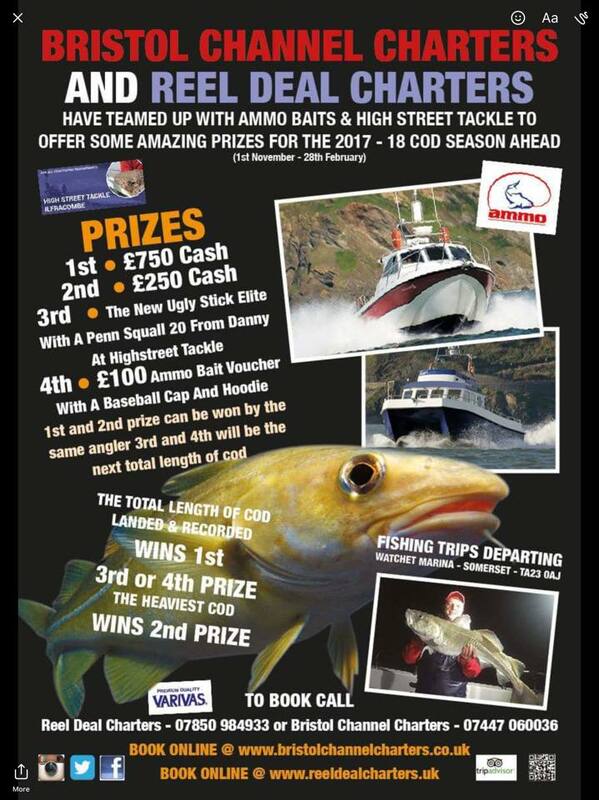 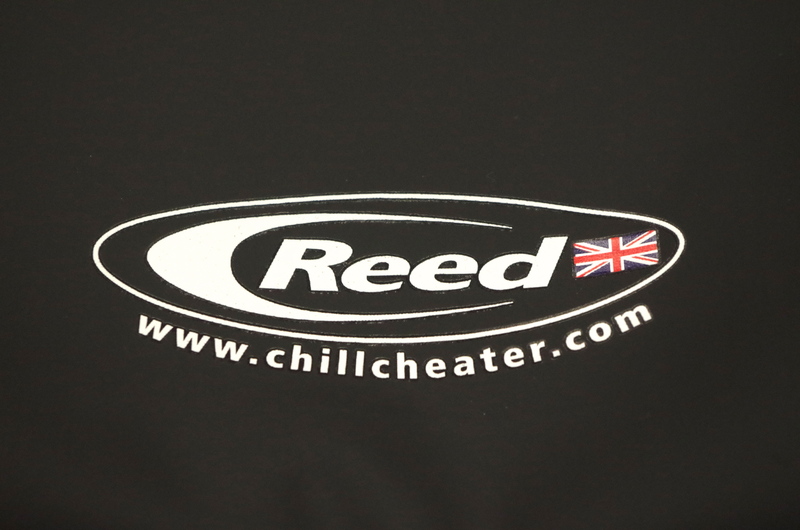 Reel Deal Cod Competition Latest. 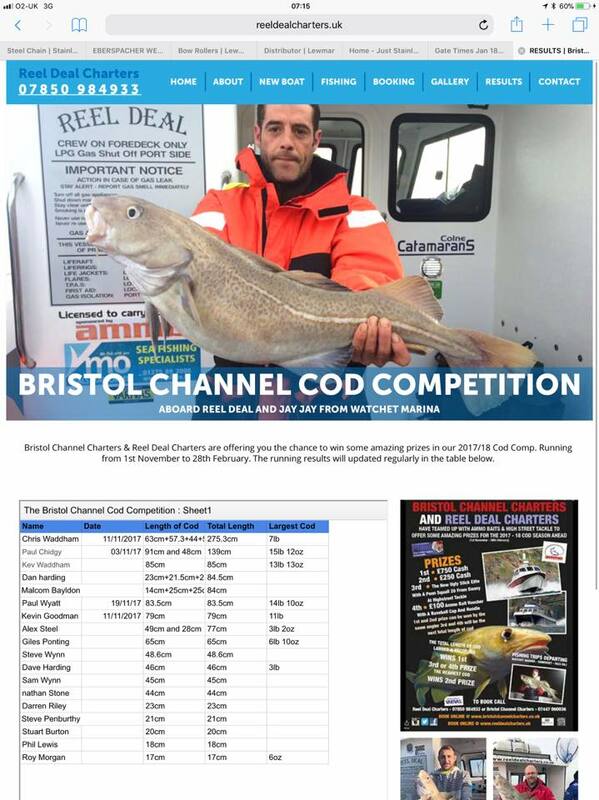 There’s a month left in Bristol Channel Charters and Reel Deal cod competition with a few decent cod likely to be boated when the weather permits. 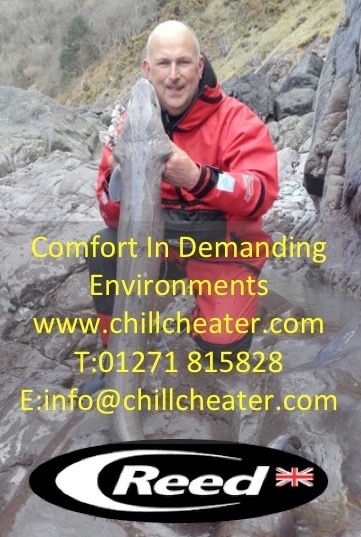 Summers coming time to book those shark excursions! 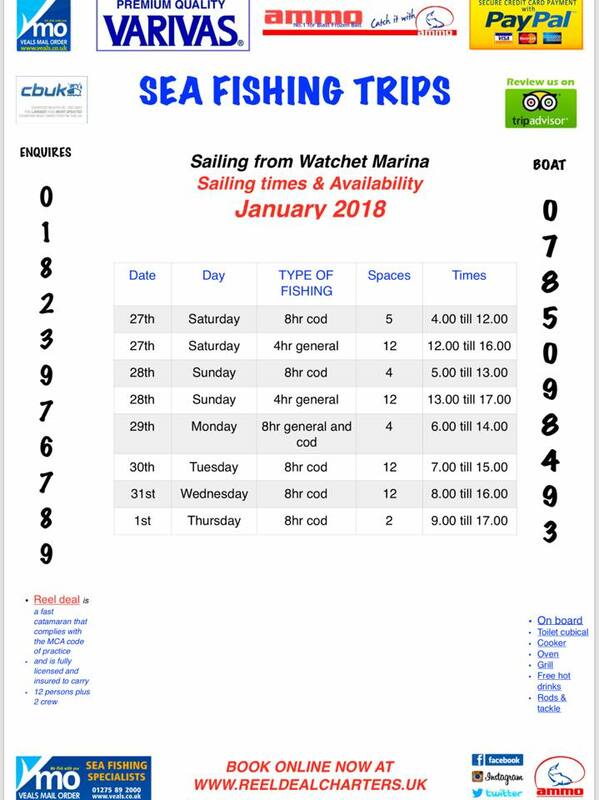 Late January often sees a big a cod or two caught from marks up Channel so it could be well worth getting out on Reel Deal over the next week if the weather calms down as predicted. 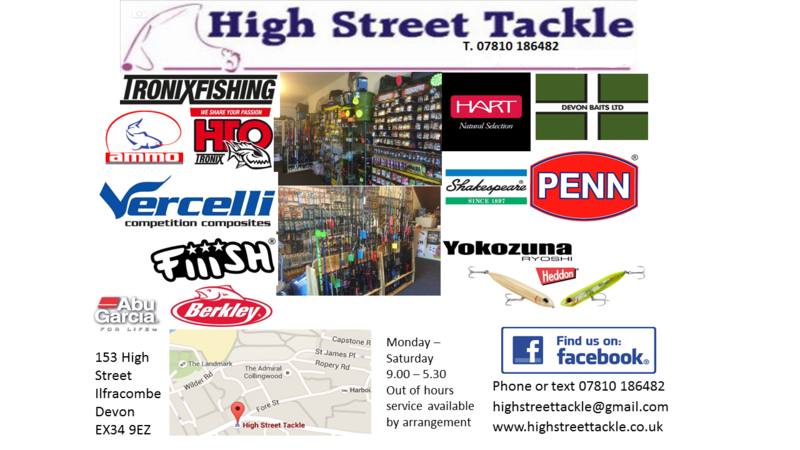 If its cod you want get up Channel! 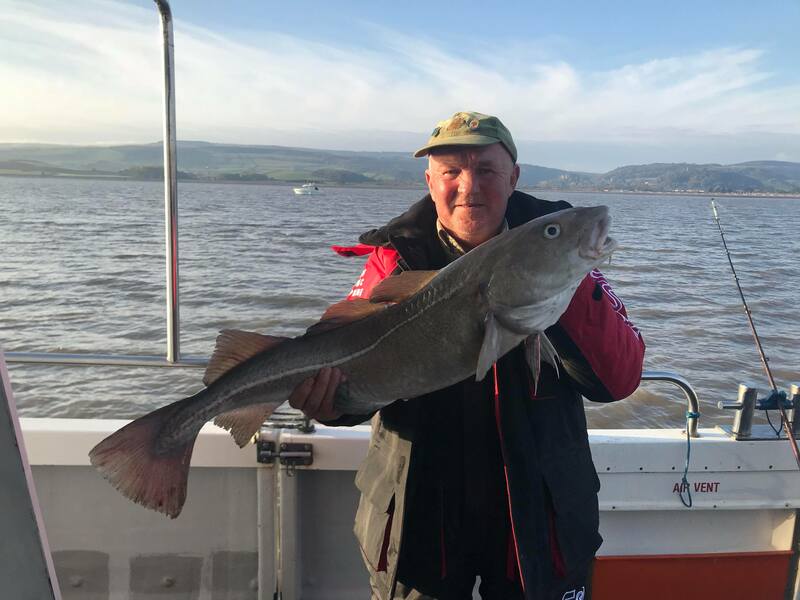 Boat fishing has been excellent off North Devon with spurdog and conger but if its cod your after its up to Minehead and Watchet you will need to go. 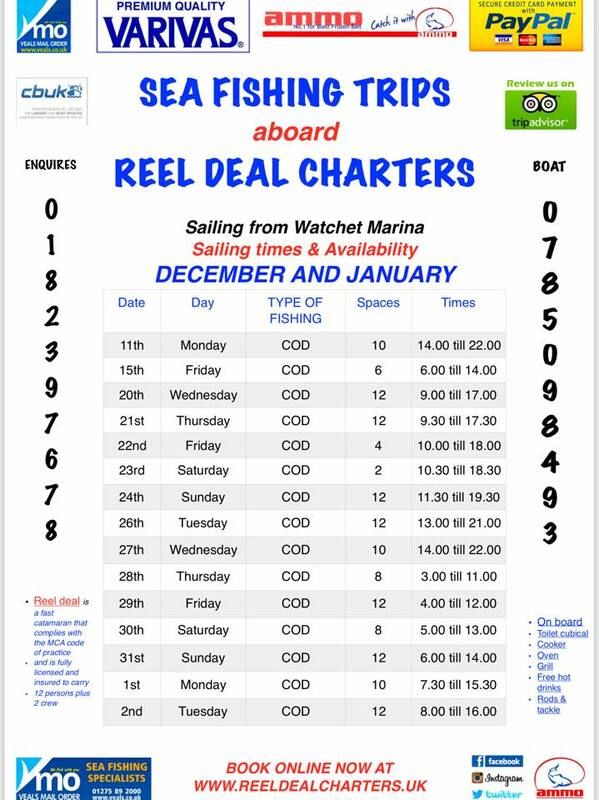 A good weekend on Reel Deal with plenty of fish about including whiting, conger, ray and dogfish both days no cod yesterday. 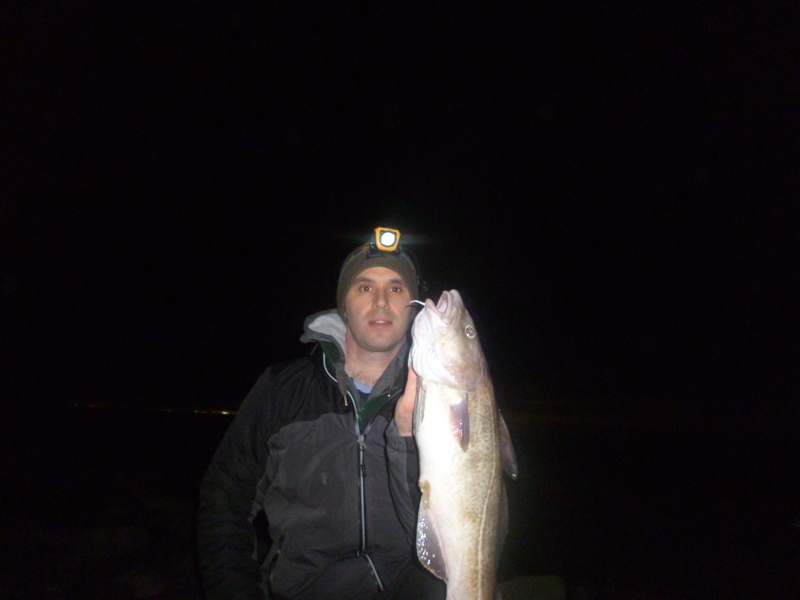 Cod have been scarce some days but plentiful on others. 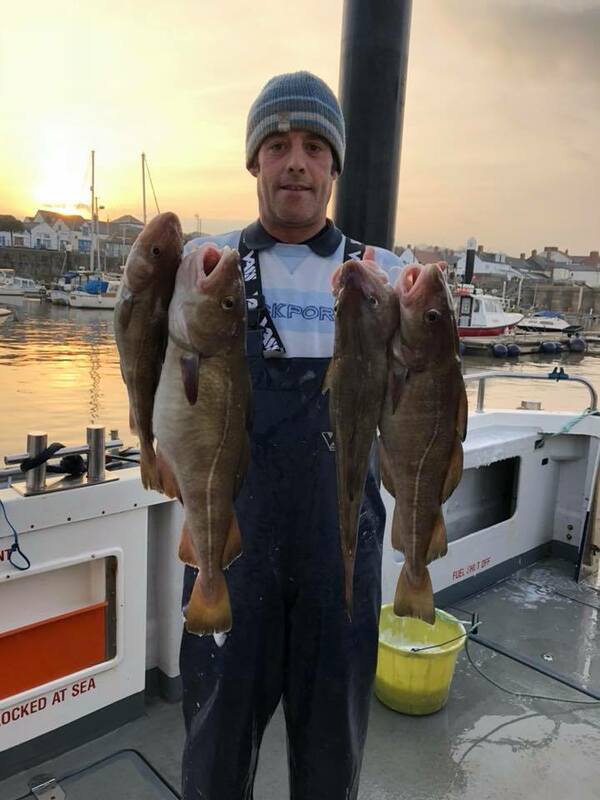 Chris Wadham has taken the lead in the Big Cod Competition sponsored by High Street Tackle Ilfracombe, Ammo Bait and Veals Mail Order with five cod for a total length of 2.32 metres. 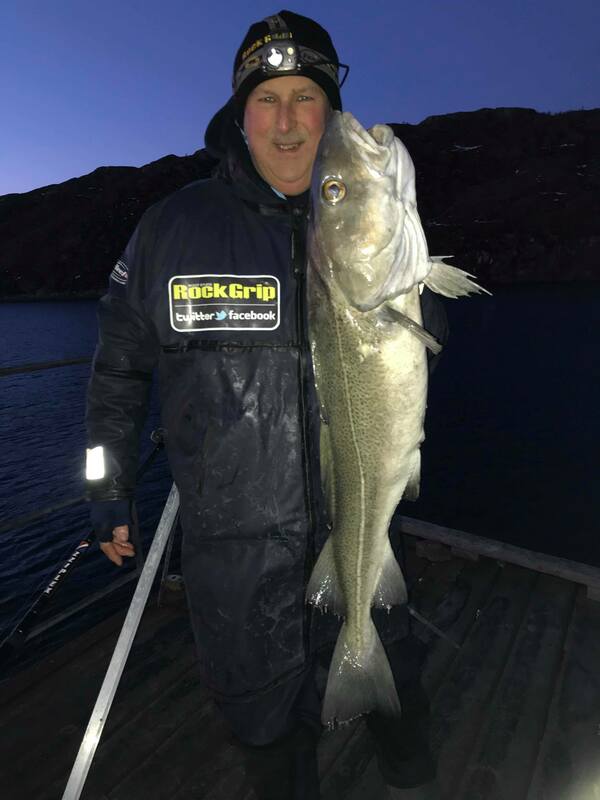 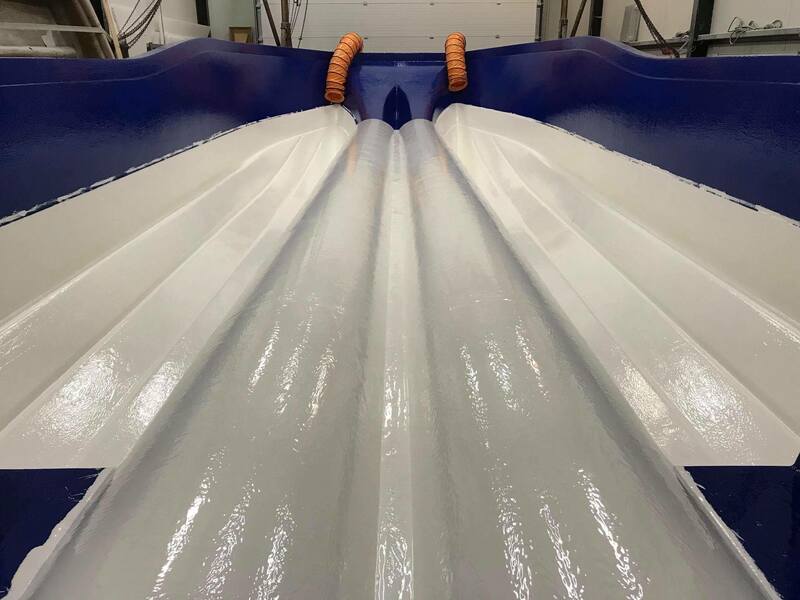 North Devon anglers Craig Mcloughlin and Kevin Legge are enjoying fishing in Norway where temperatures are minus 6 during the day and there are just three hours of daylight! 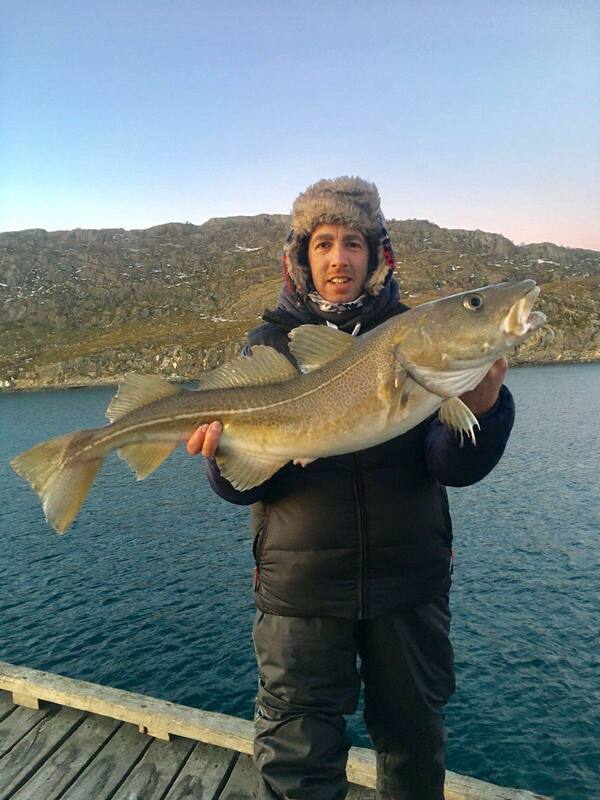 Craig hopes to capture the Northern Lights before they come home. 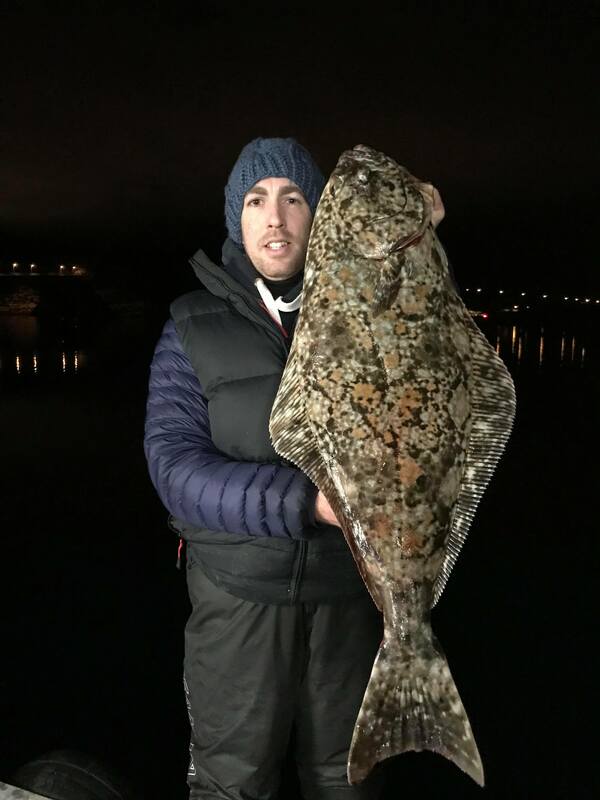 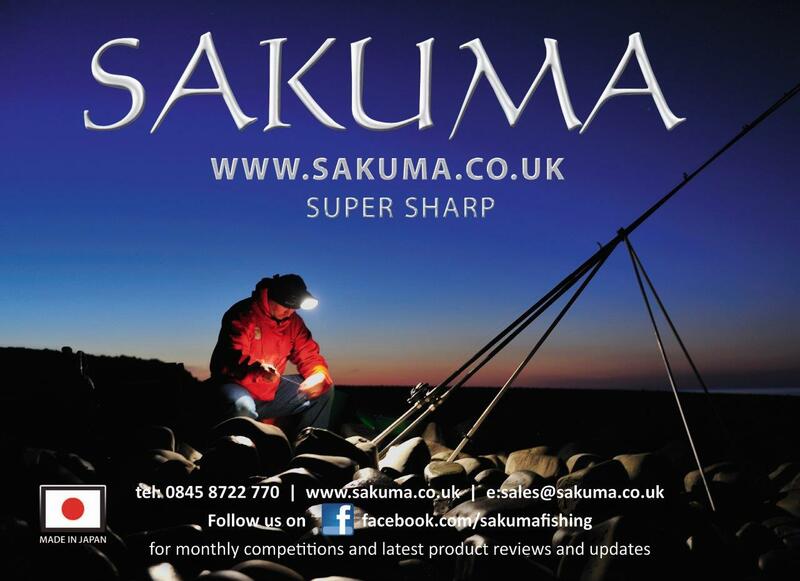 One of angling joys is the adventures it takes its participants on. 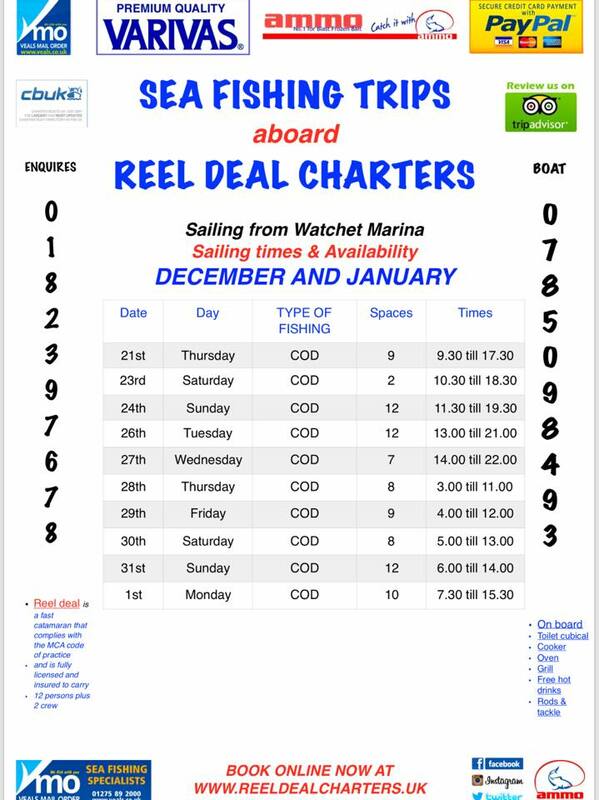 Cod, conger, spurdog and whiting are giving sport for anglers up Channel Fishing with Reel Deal Charters. 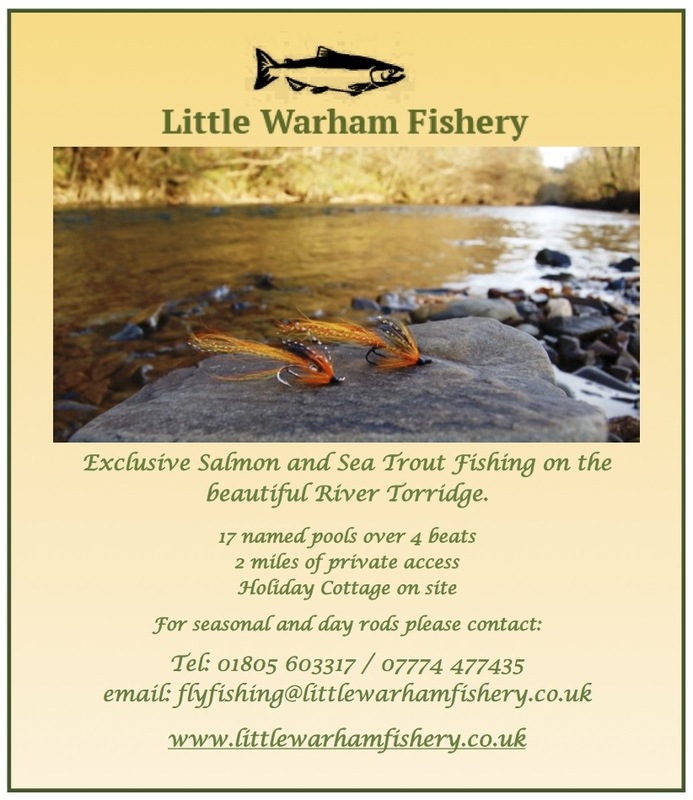 Still a few places left over the Festive weeks and early in the New Year when the biggies often show. 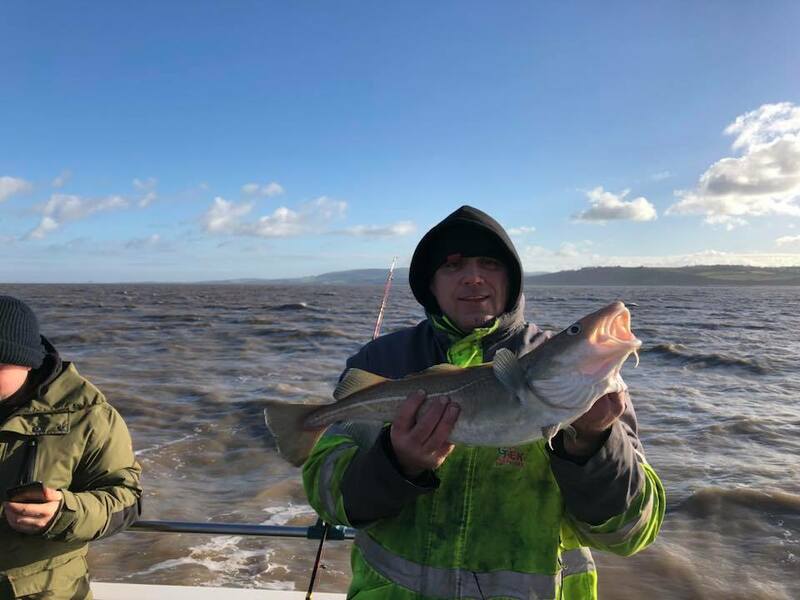 Reel Deal News – Spurdog chasing the herring! 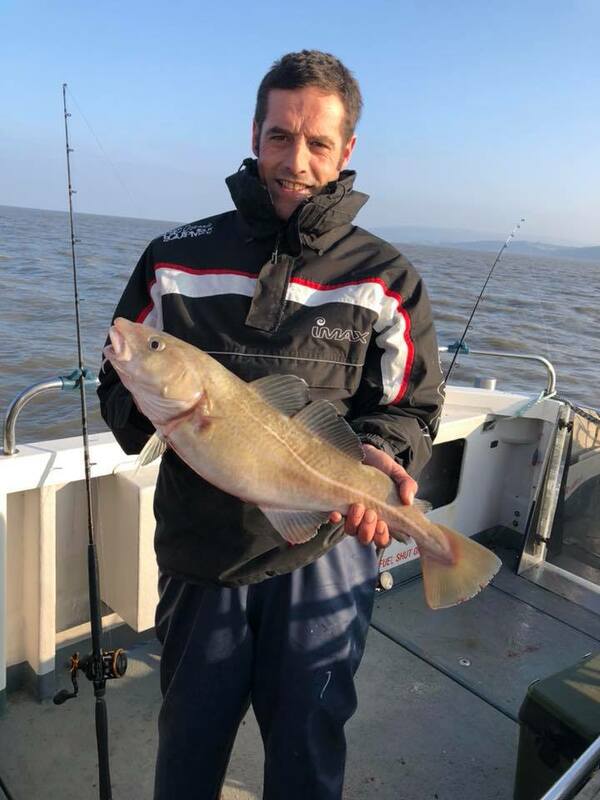 Daniel Hawkins reports from up Channel that fishing has been mixed with cod hard to find at times. 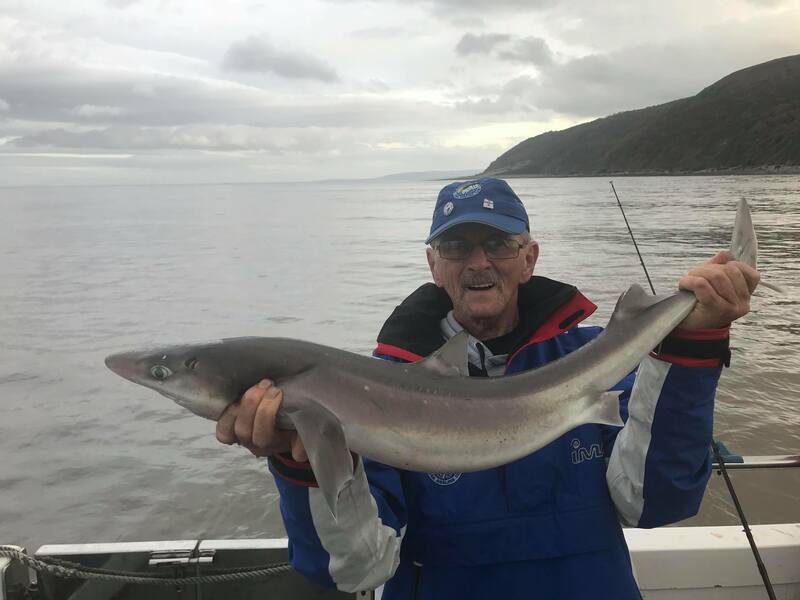 Big shoals of herrings are bringing the spurdog close inshore where they are being tempted along with ray, conger, huss and good numbers of whiting. 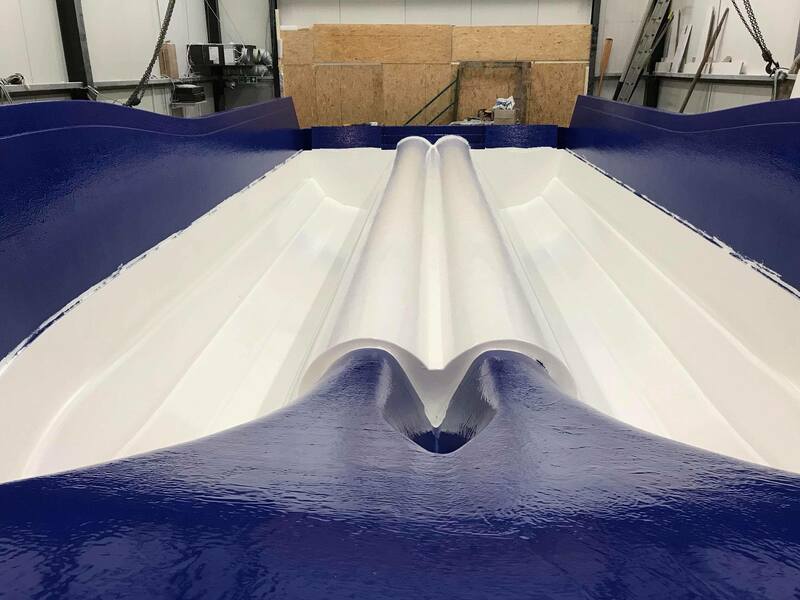 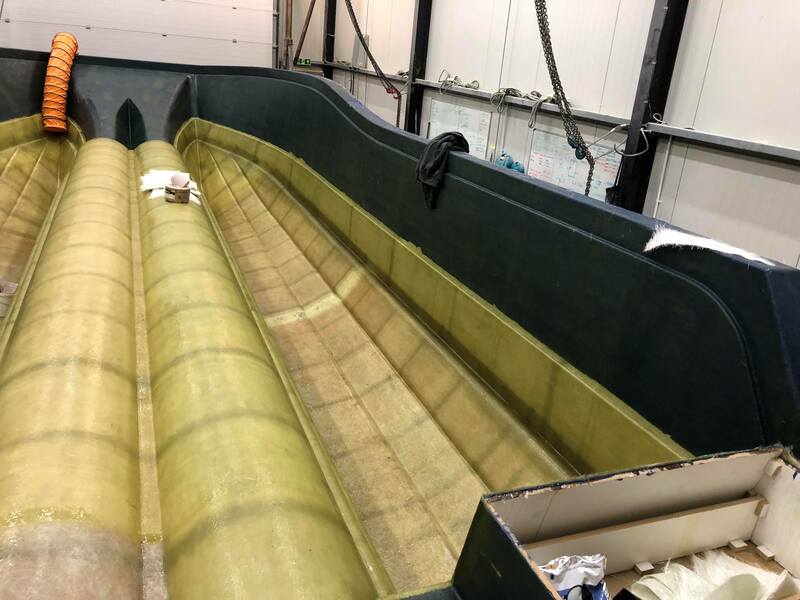 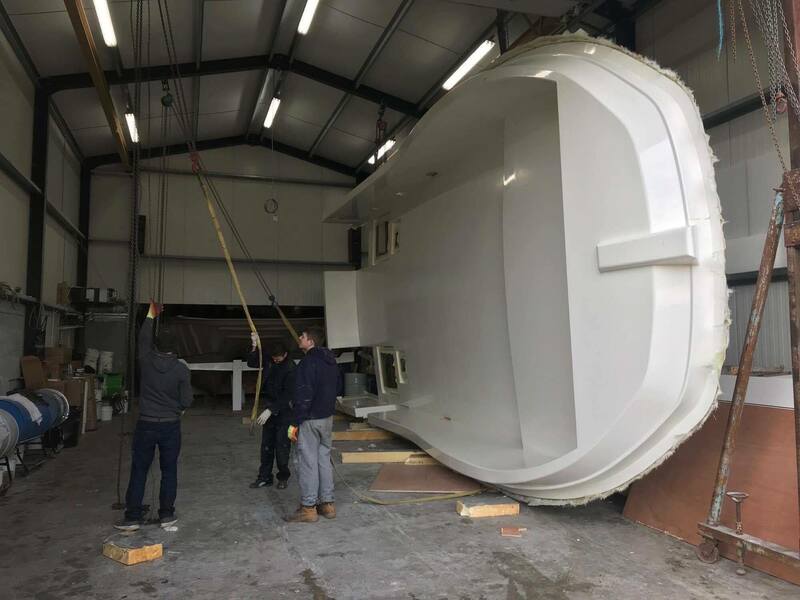 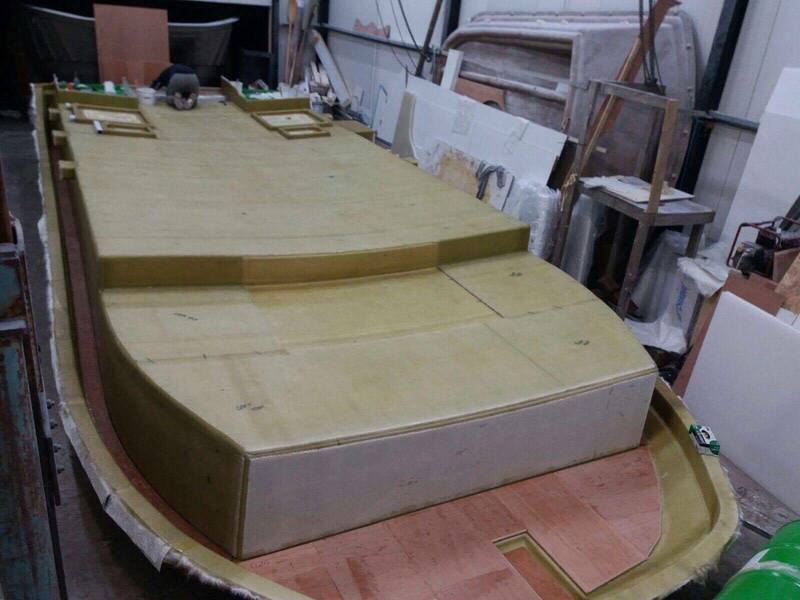 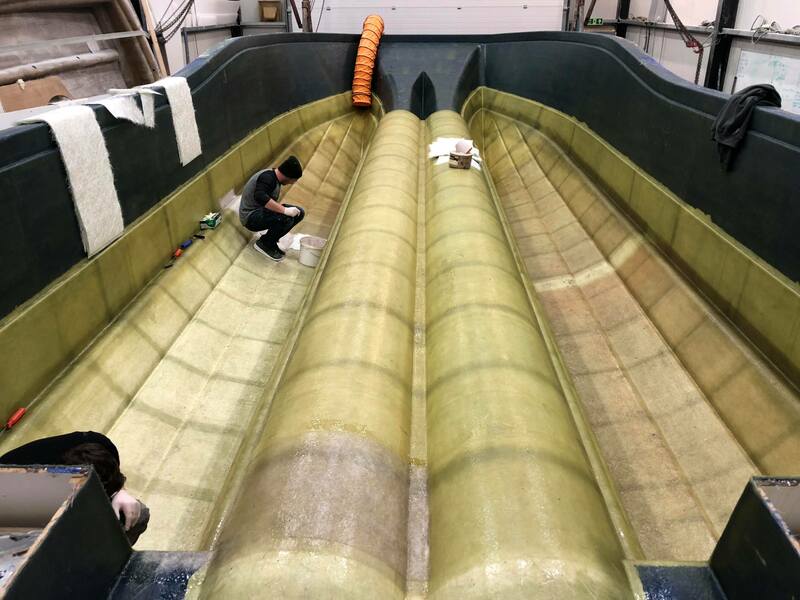 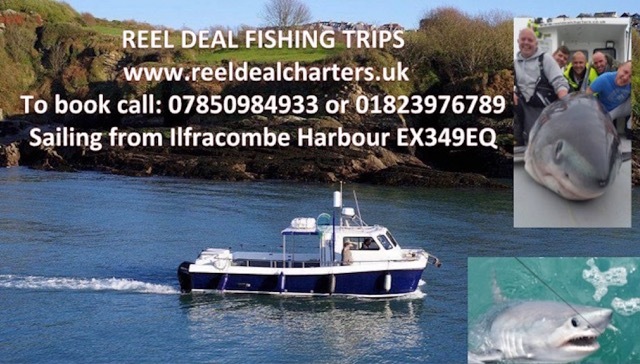 Work is progressing well on Reel Deal 2 that will be taking anglers out of Ilfracombe next summer when shark will once again be on the agenda. 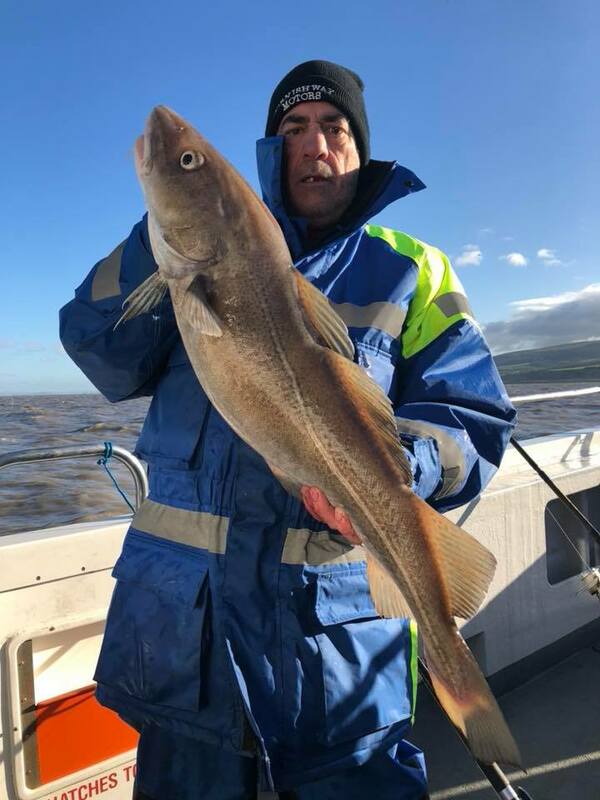 Kevin Waddham landed this fine 13lb 13oz cod whilst fishing on Watchet based boat Reel Deal skippered by Daniel Hawkins. 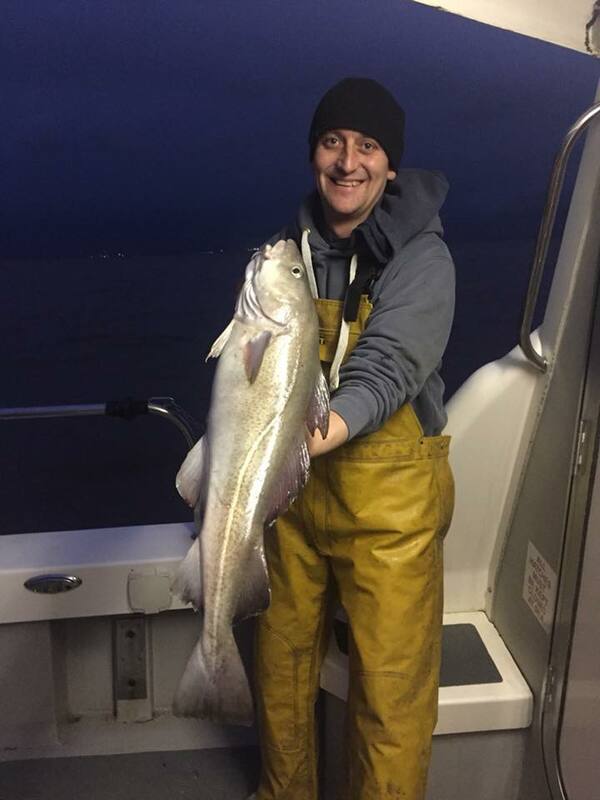 Its getting to feel like real winter now time for the cod! 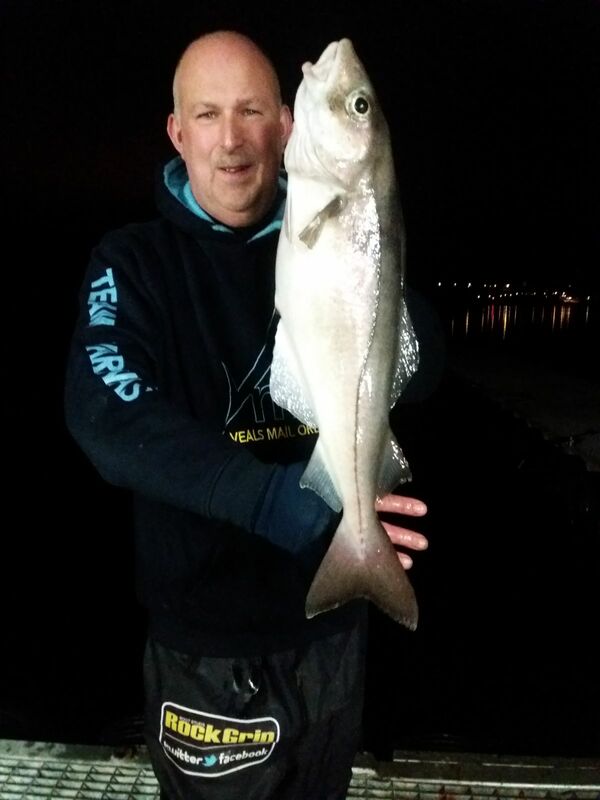 Kev Goodman had a quality cod of 11lb on Jay Jay up at Watchet. 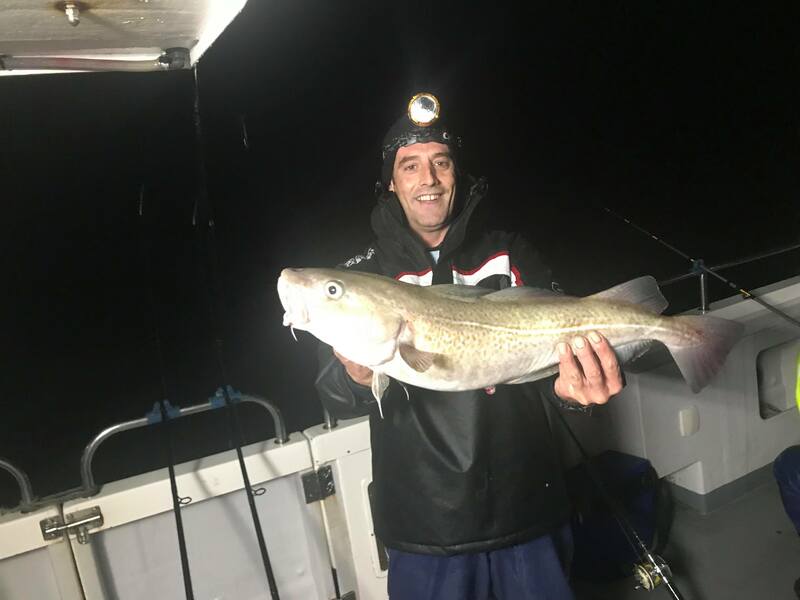 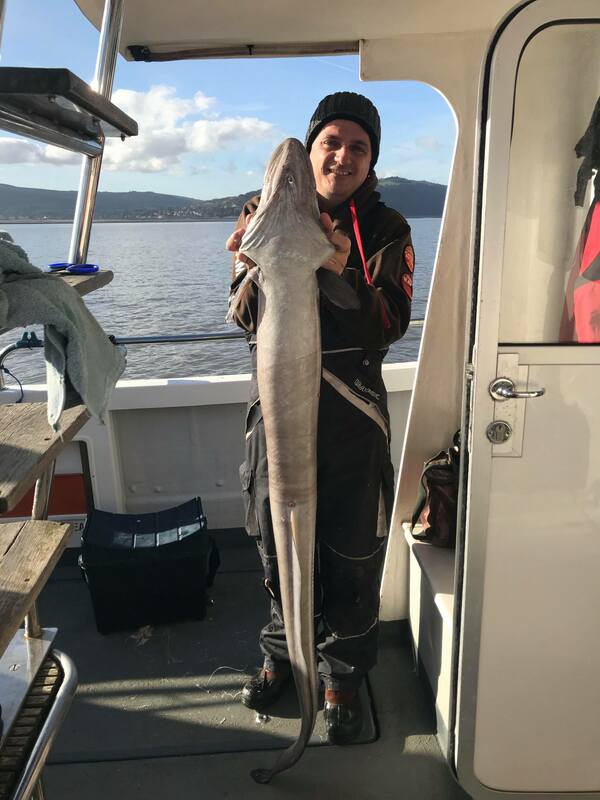 The party had a good days sport after the strong winds subsided with a mixed bag of fish including whiting, spurs, smoothies, ray, conger and dogfish. 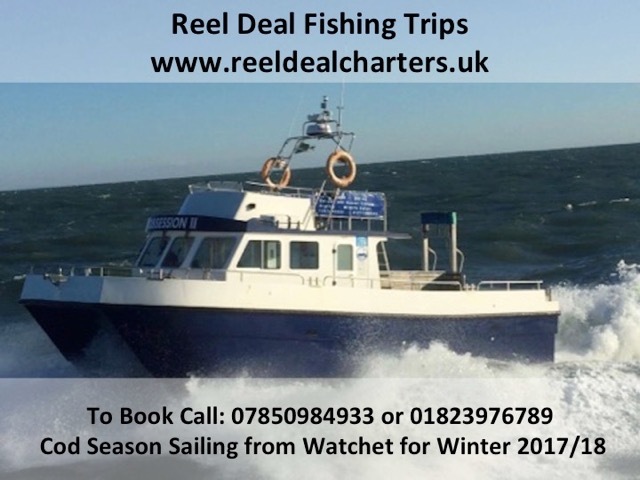 Still spaces available for weekend trips up until Christmas.